Everyone loves a bit of Christmas baking. I always get ridiculously enthusiastic over Nigella's luxe festive treats, but my absolute favourite things to eat at Christmas are my Nan's mince pies. They have a hint of almond in the pastry and a Mary Berry measure of brandy in the juicy fruit filling. 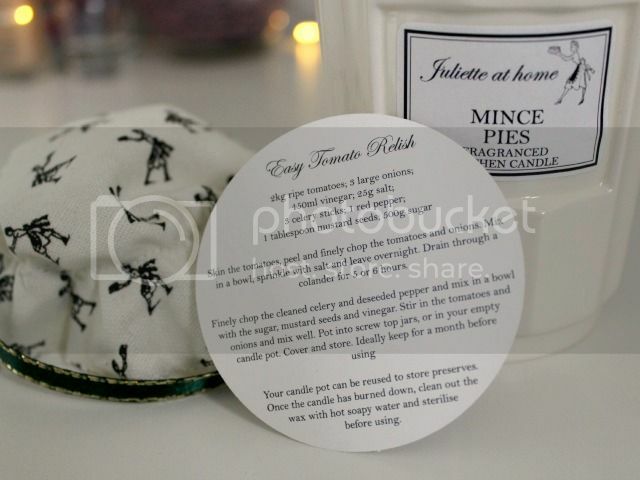 When I opened up my new Mince Pies candle (£15), from Juliette at Home, I was immediately taken back to her kitchen. 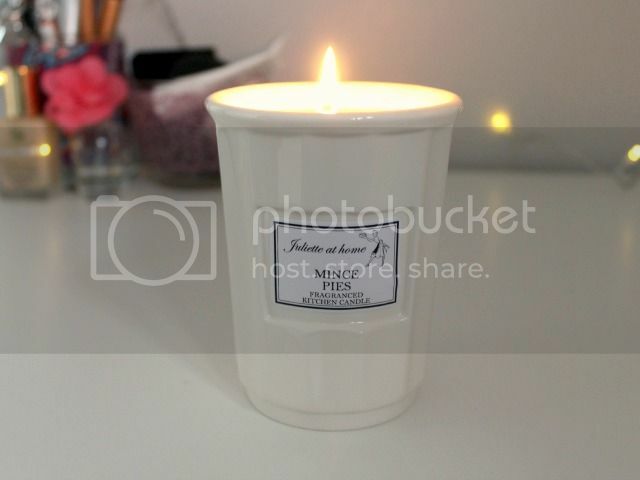 This candle smells just like a perfect little mince pie - it's incredible! I love the whole look of the British company's Kitchen larder candle range. It's evocative of a vintage country kitchen and I really like that the candles come with a recipe for a chutney or jam so that you can re-use the container. 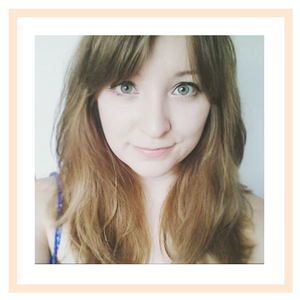 I'll be burning my candle throughout December, whether I'm snuggling down with a Christmas film or wrapping presents. It's so nice to have a change to my usual Christmas scents of festive spices and gingerbread. Come the New Year, I'll certainly be trying out another quintessentially English scent. Either Lemon Drizzle Cake ...or Rhubarb and Custard - I just can't decide! 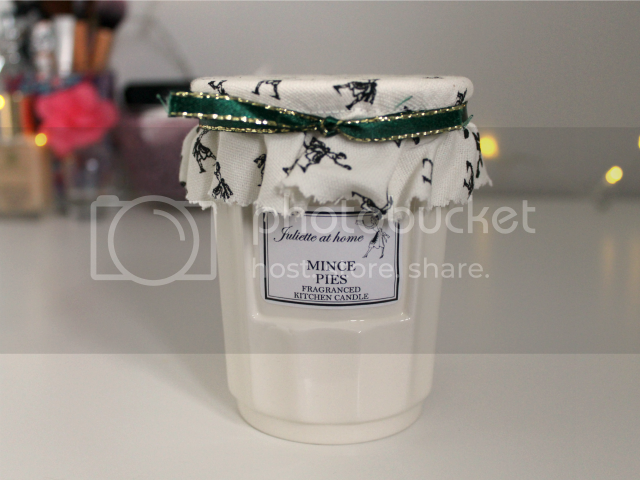 A mince pie candle, amazing!